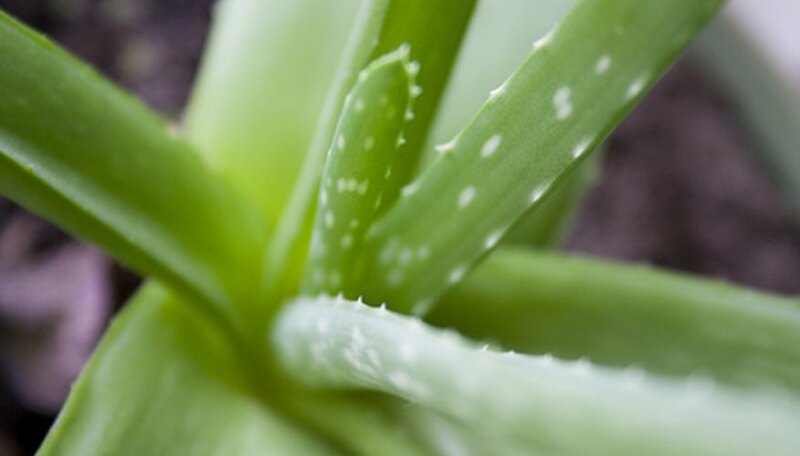 Aloe vera plants are used for many different alternative medicines and home remedies, in addition to being low-maintenance houseplants. Aloe vera plant diseases can sneak up on aloe plant owners because these plants require little direct attention. As a result, you should be familiar with the signs and symptoms of these problems to make sure that you are prepared to act quickly and effectively should issues arise. Aloe rust is a fungal infection that enters the plant through a "flesh wound" or a crack or scrape in the plant. The rust forms orange or brown lesions on the plant's leaves. Keeping your plant in a sunny spot with good air circulation will often help prevent rust infections. However, if you notice the symptoms, then you need to take action. Clean plant debris out of crevices in the plant and remove plant debris from the soil below the plant. Make sure not to water your plant too frequently during the infection so that you do not enable the rust to attack the root system. Commercial bactericides and fungicides may also help you resolve the issue, but they will make it impossible to use the plant for home remedies or alternative medicines. Aloe rot manifests itself as black, soft areas of the plant that can quickly become necrotic. Aloe rot must be removed using sterile pruning tools and the wounds should be treated immediately with a liquid fungicide to prevent reinfection. Be sure to dispose of all rotting pieces in a sealed bag and do not allow any pieces to fall onto the soil of the plant. Aloe cancer is an unusual development of leaves and stems that grows in between already developed leaves and stems. Left to grow unchecked, these smaller growths may overwhelm the rest of the plant. Cacti.com states that this disease is likely transmitted by a small, chewing insect like an aphid or a thrip, but the true cause of the disease is not known. You can avert a "hostile takeover" by sterile pruning and careful monitoring of the area to prevent recurrence.